This was to be a research activity in LIBR507 Methods of Research and Evaluation in Information Organizations. I chose to do this as an individual activity on my initial topic choice which was Privacy Vs Security Vs Personalisation: When does online information cease from being just information and turn into a peril to personal space and freedom. In the first stage, I identified and specified the research question in around two double-spaced pages. After receiving feedback from the instructor, I proceeded to provide Evidence-based Structured Summaries, critically evaluating existing literature on my chosen area. Written set of instructions on how to gather the data. Description of the sampling strategy and why it was chosen. Concluding section on how results are analyzed/interpreted. Copy of the “Certificate of Completion” for “The TCPS 2 Tutorial Course on Research Ethics (CORE). When and under what constraints does online/geographic (video) surveillance turn into a clear breach of personal space and privacy? What can be done to mitigate the effects when that happens? Is personal/national security compromised or enhanced under the current philosophy of invasion into personal space as implemented by social media, governmental organizations, and online search engines? If compromised what measures can be taken at an individual / national level to diminish / even nullify such a possibility? 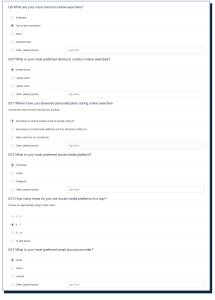 What constitutes ‘justifiable personalization’ of information as gathered by search engines and when does such ‘personalization’ cease being acceptable? Are all cookies ‘bad’ or snooping in nature? 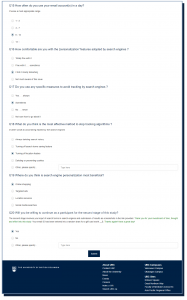 Due to time constraints as suggested in the course instructor's feedback, I narrowed down to two issues of personalization namely biases and bubbles while using online search engines. 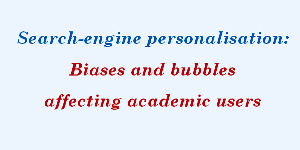 The new title was, Search engine personalization: Biases and bubbles affecting academic users. 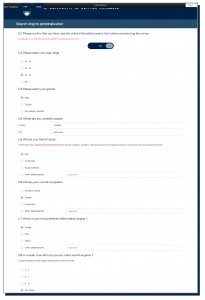 I developed an online questionnaire (containing 20 pertinent questions) using the fluid survey available at UBC IT services along with a codebook and coding sheet to suitably evaluate the results of the survey when implemented. 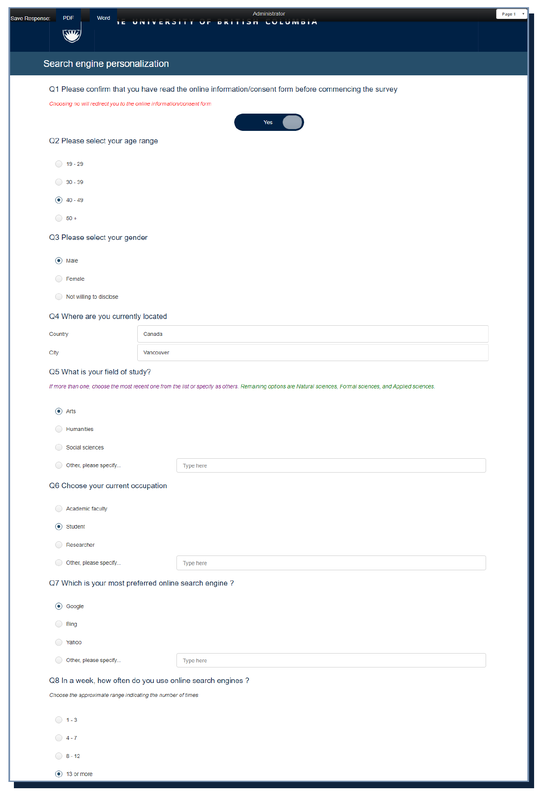 A letter of information/consent form, as well as the certificate of completion for the TCPS 2 Tutorial Course on Research Ethics, was also included in the report as required. This research activity has been much beneficial to me in understanding the various stages involved in a professional research process to ensure a positive/successful research experience. Also, due emphasis was given on research ethics during the course lectures and the issues surrounding the same were reiterated as I went through the TCPS 2 tutorial course on research ethics as a part of the requirement for this research design project. • Created invitations and banners using ‘Canva’ for local church/community purposes. • Undertook audio/video editing assignments for local community programmes. • Article writing and CD/book reviews for the non-profit organization 'Serve India Mission', writings published in the printed youth monthly ‘Vanamutham’, and also as e-magazine at www.serveindiamission.org.